The January transfer window came to an end last night and with it begins the business end of the season as teams aim for trophies, European qualification and survival. Ligue 1 saw a lot of business happen with the final day of the window particularly busy. PSG stole the headlines with their £36m acquisition of defensive midfielder Leandro Paredes for Zenit. The champions also made news with their failed bids for near enough every ‘number 6’ in Europe but we want to take a look at the less glamorous transfers that intrigued us the most. We’ve compiled the three most interesting moves of the window below. Josh Maja has become the latest young English player to take a move abroad as the striker has signed for Ligue 1 side Bordeaux. 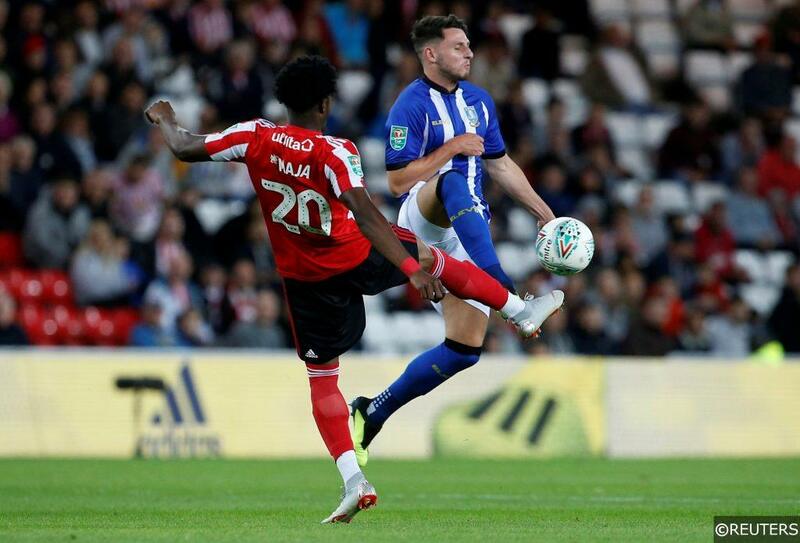 Maja sprung to prominence in the 2017/18 season for Sunderland where he impressed many fans with his pace and confidence despite the team’s horrible results. He only scored once but set himself up for a great campaign in League One where he has scored 15 goals in the first half of the season, playing as Sunderland’s main man up top despite only being 20 years old. Many fans are upset with the move as they feel he still has a lot to achieve at Sunderland who have a great chance of promotion this season but he has decided to take a very exciting move to Ligue 1 and this is one that could pay dividends for both him and his new club. Bordeaux currently sit 12th in Ligue 1 but have really lacked a key striker for most of the season. Francois Kamano is their top scorer in the league with eight goals but he usually operates as an inside forward on the left so the incorporation of Maja just beside him could turn into a great partnership. A mix of Andreas Cornelius, Jimmy Briand and Samuel Kalu have all operated as the team’s ‘number 9’ but they have been rather underwhelming in this position so Maja should take this opportunity with both hands. Bordeaux have been rather impressive with their business this January with Yacine Adli adding to that as the young midfielder comes to the Stade Matmut Atlantique with a lot of potential. Adli is a PSG academy graduate who trained at the club from the age of twelve before this move to Bordeaux. Adli has been the name on the lips of many of Europe’s top clubs such as Juventus and Barcelona so his decision to move to Bordeaux is extremely exciting for les Girondins’ fans. Official: #Bordeaux have completed one of the coups of Deadline Day by signing Yacine Adli from #PSG for around €5.5m. He was close to moving to Arsenal on a Bosman in the summer. At six foot one you would expect the Frenchman to be situated at a ‘number 6’ role with him simply winning the ball and giving it to more creative players but his style of play is much more advanced than this. He operates in the attacking midfielder role is usually the talisman of any team he plays in. He is extremely comfortable on the ball and seems to glide through games as he tries to pick out his teammates in wider areas or in the box. He caused quite a stir at the u17 World Cup in 2017 as he registered five assists in 253 minutes of football which attracted so much attention and he is being touted as the next PSG graduate to light it up, alongside Kingsley Koman and Adrien Rabiot. He is sure to be a great signing for Bordeaux if he wins over the trust of managers Eric Bedouet and Ricardo Gomes but that is almost a dead cert with the quality this guy possesses. Mario Balotelli really found himself at a crossroads when his time at Liverpool came to a close. It was very much seen as the Italian’s last chance at the top of European football as he delivered another lacklustre campaign with just one goal from 16 appearances. In his next move he took a slight step down to sign for OGC Nice but it was probably the best decision of his career since passing the ball to Sergio Aguero on the 13th of May 2012. Balotelli played under Lucien Favre in his first two years at Nice who really reinvigorated his career. He scored 43 goals in his 51 league games under the Swiss and this reminded fans across Europe why he was such an exciting prospect during his Inter Milan days. It was as if a switch had been hit in Balotelli’s brain as he seemed to pull incredible performances out of nowhere. This all ended when Favre left for Borussia Dortmund and Patrick Vieira was named as his successor. Without the influence of Favre to push him on, Balotelli has returned to the controversial lazy player we all know and as a result his relationship with Vieira has degraded rapidly. It got off to a horrible start as the Italian turned up to pre-season training late and overweight, and it has really just gone downhill from there. Nice wanted rid of Balotelli so much that he was allowed to sign for Marseille for free but it will be interesting to see how he plays under Rudi Garcia at his new club. He has shown us that he still has the talent but his mentality will be the main thing which dominates his spell at OM. Categories: Blog, Football, Transfer Done Deals, and Transfer News. Tags: bordeaux, French Ligue 1, January transfer window, josh maja, Ligue 1, Mario balotelli, Marseille, ogc nice, Sunderland, and Yacine adli. Team Tag: Bordeaux, Marseille, ogc nice, paris saint germain, PSG, and sunderland. League: French Ligue 1. Sports: Football.